A apple day keeps the doctor away. But i'm not a big fan of apple, i like to eat as a milkshake. One evening when i craving for something to fill my tummy , i made this milkshake. Peel the skin and chop the apple . 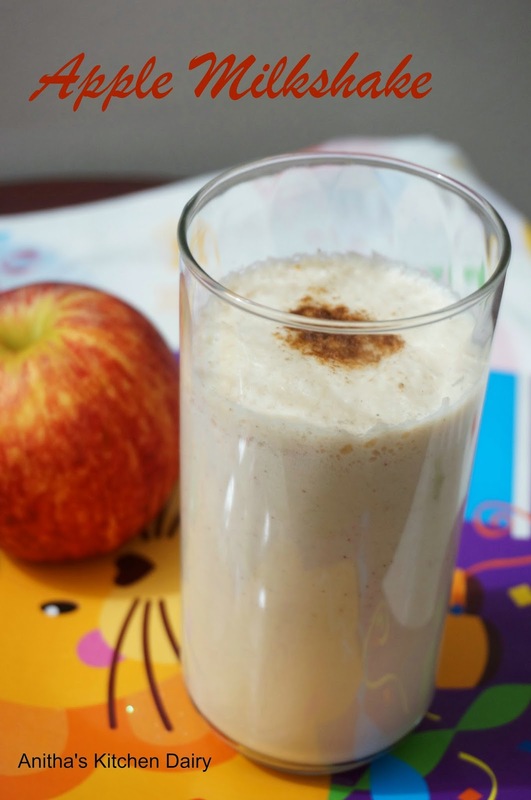 Blend chopped apple,honey with 1/4 cup of milk as a smooth paste. After that add cinnamon powder and remaining milk and blend forthy . Transfer into serving glass and sprinkle some cinnamon on top of it and serve.